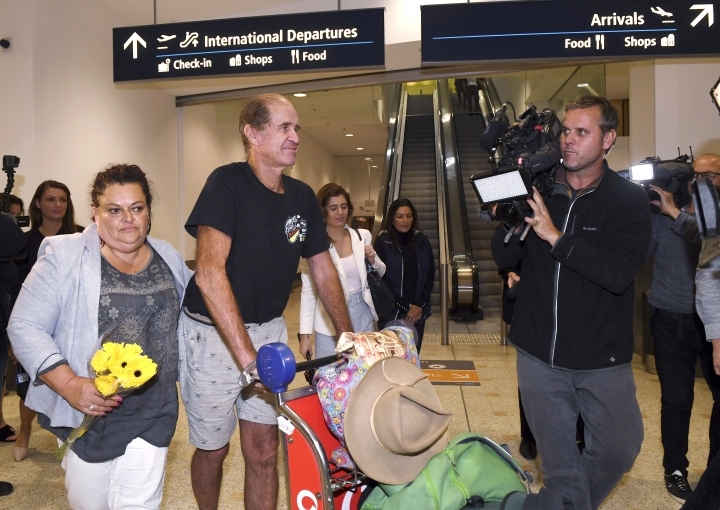 CANBERRA, Australia — Australian filmmaker James Ricketson took a stroll on a Sydney beach at dawn Monday while recuperating from more than a year in a Cambodian prison, his nephew said. The filmmaker had been arrested after flying a drone to photograph an opposition party rally in June 2017. He was sentenced on Aug. 31 this year to six years in prison for alleged espionage even though prosecutors never specified whom he was spying for nor presented evidence that he possessed or transmitted any secrets. Ricketson's arrest came during a severe crackdown on political opponents and media in Cambodia before its general elections this year that were widely considered neither free nor fair and resulted in a sweeping victory by long-ruling Prime Minister Hun Sen and his party. Ricketson's nephew said the imprisonment took a toll on his uncle's health. "He was this morning walking on the beach at dawn and ... enjoying the freedom and just being amazed at his current situation compared to where he was 24 hours before," Bim Ricketson told reporters Monday. "He's just recuperating. He's just taking a breather. He's just taking some time. You know, he's not very well. He's got to go to the doctor and he's exhausted," the nephew added. James Ricketson said he wants to return to Cambodia. 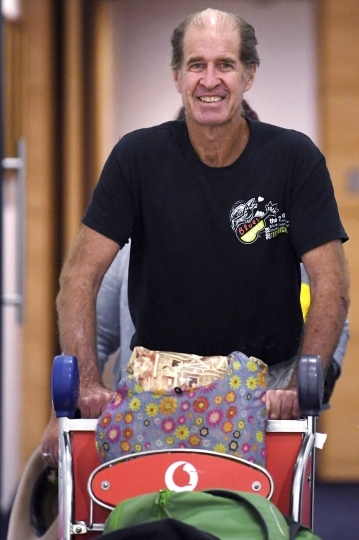 "I'll be going back as soon as I can, but I'll need to recover obviously," he told reporters upon his arrival in Sydney. "I need to spend some time with myself and some time with my family. But yeah, I'll be going back," he added. Ricketson deflected questions about how his release came about but thanked Hun Sen for recommending the king pardon him "for a crime I did not commit." His pardon was the latest in a series of releases of political prisoners after the ruling party secured its landslide victory in the July elections. Ricketson, co-founder of the Australian Directors' Guild, repeatedly insisted he had no political agenda and his work making documentary films was journalistic in nature. Australian leaders expressed only lukewarm public concern about Ricketson's case, a stance that was criticized but also led to speculation that an understanding might have been reached with Cambodian authorities for Ricketson's early release.